Halo 4: How is This Even Possible? Well, that’s a cut-scene. Obviously prerendered. Nope. PR bullshot. Show me some real screens. Okay, so that one’s from Digital Foundry’s tech breakdown. 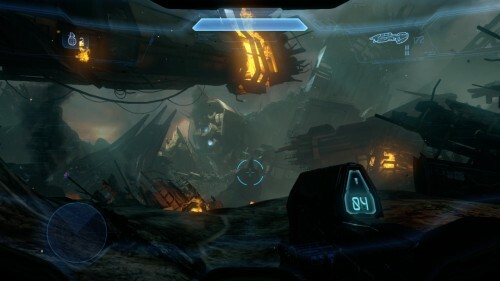 It’s pretty undeniably indicative of how good Halo 4 looks. 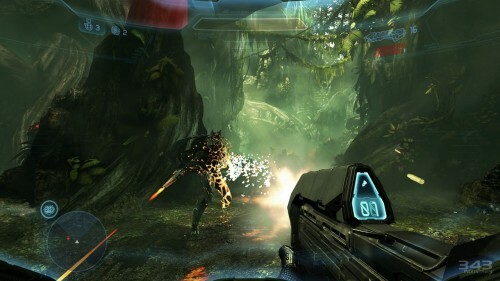 How 343 Industries has done this, how it got hardware that has seemingly been running on fumes for years now to push out what I don’t think, resolution aside, would look out of place on a decent PC gaming rig, how many virgins had to be bled dry in sacrifice to the gods of gaming, is utterly beyond me. It doesn’t change my tune about new consoles being desperately needed, but I haven’t been this impressed with a game’s visuals since Uncharted 2. I’m genuinely flummoxed at why even first-party 360 games have so often been allowed to coast visually, content to be adequate rather than spectacular and giving rise to a popular opinion that the PS3 has a noticeable performance advantage. It frankly shows how lackadaisical Microsoft has been in pushing its developers and partners this gen, and I hope that this is the first sign of a rumoured push for more high-quality, exclusive, internally produced content from Redmond in the next generation. Plus it’s bloody good to play. That always helps.